Beyond a fast phone answer with a warm and friendly greeting every time, ICG agents have taken the time to learn our unique business and our employees. They successfully educate and prequalify our prospects and even help assist in scheduling appointments on a day to day basis. Their service is above and beyond any expectation and they have evolved to be an asset to our business. They are without a doubt an extension of our company and are an integral part of how we are able to conduct business daily. We have used ICG for numerous years in the past which, in and of itself, is a testimonial of their competence. ICG is a critical link to our after-hours patients and staff when direct office contact is unavailable. Our patient's welfare depends on ICG's ability to report accurate information to our on-call nursing personnel. In addition to the protocols we ask ICG to assist us with, Cheryl, Kathy, Darlene, and the rest of the ICG team make the patient come first. Our organization is held to very high accreditation standards; we chose ICG because they could accurately assess our after-hours needs and processes. The level of service they provide in addition to the technical competence and friendly demeanor of their staff made them a win- win solution to our after-hours answering service needs. 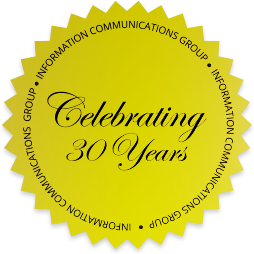 Without hesitation, I highly recommend ICG to your organization. Having ICG as a part of our team offers a seamless presentation to all that may call. I have used ICG as my answering service at my last two employers. I managed a clinic with 17 physicians who had a very difficult call schedule. However, ICG was able to keep the call schedule correct. I find the staff from the owner down to the person taking the calls to be very professional and courteous to our patients, to our physicians and to all of our staff. They are always there to assist in any manner possible. Their customer service skills are phenomenal. If there is ever a concern someone at ICG gets to the bottom of our concern. I can reach a supervisor any time day or night even when my physicians make last minute changes in the call schedule. I can highly recommend ICG for all of your needs. Northland Pediatric Associates has been a client of ICG for the past 20 years. When we roll the phones to the answering service after our regular business hours, we can rest assured that our patients needing medical advice, hospitals needing orders and other Physicians wanting to speak to our "On Call Physician" will be notified in a timely manner. They will go the extra mile to remedy any unusual issue that may arise. We would highly recommend ICG as the Answering Service of choice. Liberty Orthopedics has been with ICG for over 10 years for our after hours call needs. Their operators are always very helpful and great listeners to our patients requests and message taking. Their contacting and reporting messages to our Physicians and office has always been timely and according to our Physicians' requirements. ICG in several occasions has come to or rescue when we have had unforeseen power outages during our regular working hours and our phones were out of service. We just simply had our phone service vendor switch our phones to ICG and it was back to business as usual as they covered our calls and communicated to us through cell phones until our power was restored. It was fast, easy and not a beat missed in patient service. ICG are very leading edge with their technology and informing us as to enhancements which are available for our convenience. It is great to have such good service and communication to rely on with all the multiple ways we are pulled these days in Health Care. Thank you for a job well done. I wanted to follow up with you and say thanks for your organization doing such a great job for us in answering our phones. I’ve been with ICG for many years and have always been highly satisfied with the quality of the staff interfacing with our patients and physicians. They are all attentive and prompt in triaging callers. They are able to determine the correct action to be taken when patients contact them and help facilitate those emergent patients to connect timely with our physician on call. When necessary, the staff is always willing to “take over the phones” while we have a staff meeting or need to close the office early. Their level of expertise in dealing with medical terminology and patient issues is the reason we continue to hear positive feedback from our patients and continue to utilize your services for our phone answering needs. Having the capability of researching calls and actually listening to the callers has, in the past, been key in documenting what actually was said and what happened.